Happy half-way-to-weekend day!! Hope all is well. Lately I have been very busy preparing an upcoming show, especially giving my origami and resin jewelry series more new and exciting twists. If you are interested, please stop by, say hi and give me a hug! 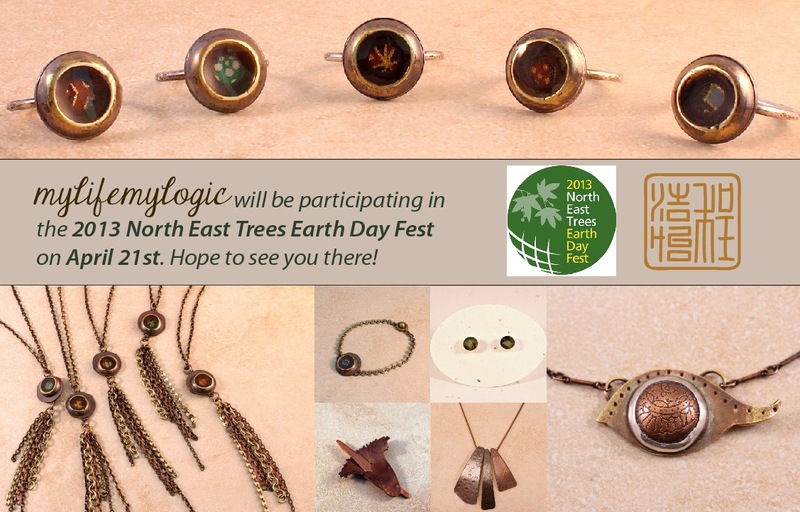 Sunday, April 21, 2013 • 11 am – 5 pm, rain or shine! 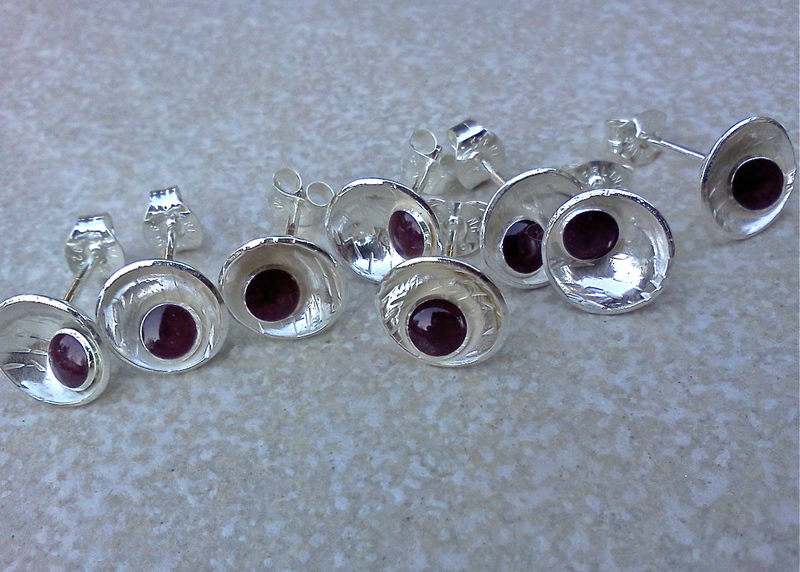 mylifemylogic will be bringing tons of new jewelry, konovision (a.k.a. Randy Kono) is bringing all his new creatures, and we will both be wearing some matching smile. Need I say more? Hope to see all your pretty faces there!! 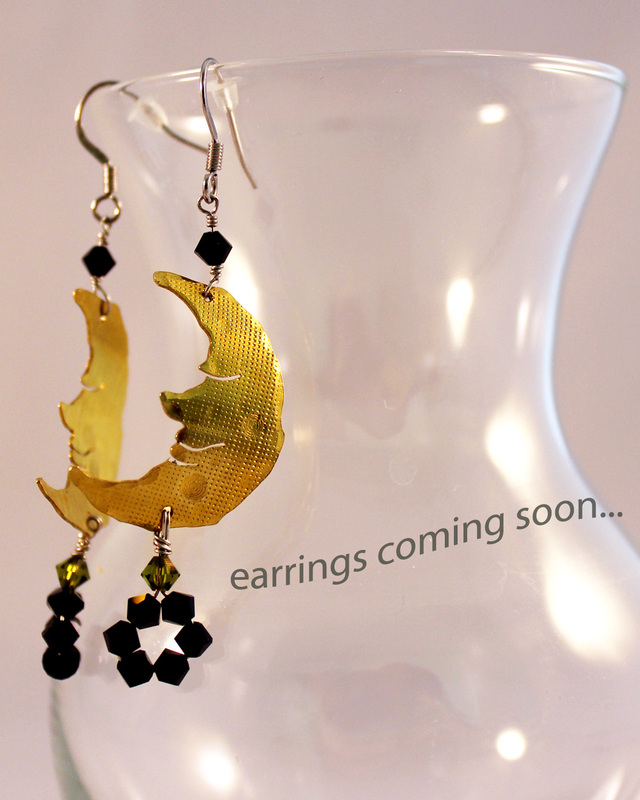 “Fly Me to the Moon” earrings on the way! as i always say, i doodle with my torch. so most of the time my process is rather organic, and i follow the voice of the material. but i love how often people come to me and tell me interesting things they see in my pieces, although i did not intend to make them that way. i’ve had people told me that they see a kitty sitting elegantly in a pendant, a smiling face in the sky of the background of a painting, a belly button on a ring (which is actually one of those in the header image of the page, can u find it? )…etc etc. and this time, my mom said these earrings look like googly eyes. i’m sorry to disappoint but they don’t wiggle like the plastic fun things. u’re welcome to get a pair tho, and wiggle your head to see if you get the same effect. after all, this is a blog about ideas right?